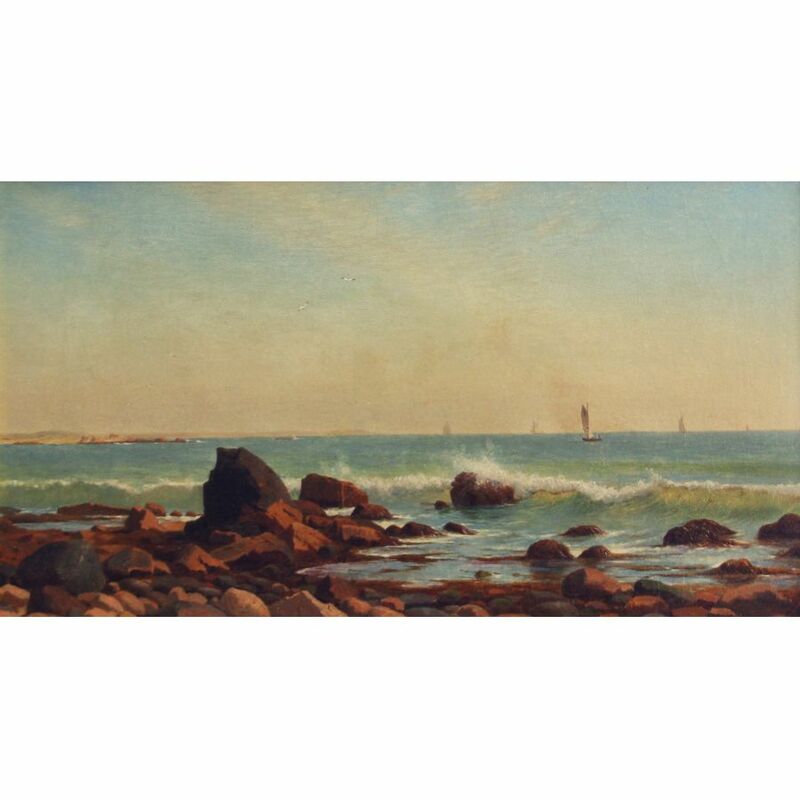 WILLIAM HASELTINE (1835 - 1900) Born in Philadelphia to painter, Elizabeth Haseltine, William Haseltine became best known as a landscape and marine painter who had a special talent for conveying light and geological detail. He graduated from Harvard University in 1854 and also studied in Philadelphia with Paul Weber and then went to the Art Academy in Dusseldorf, Germany where he became one of the key American artist figures. 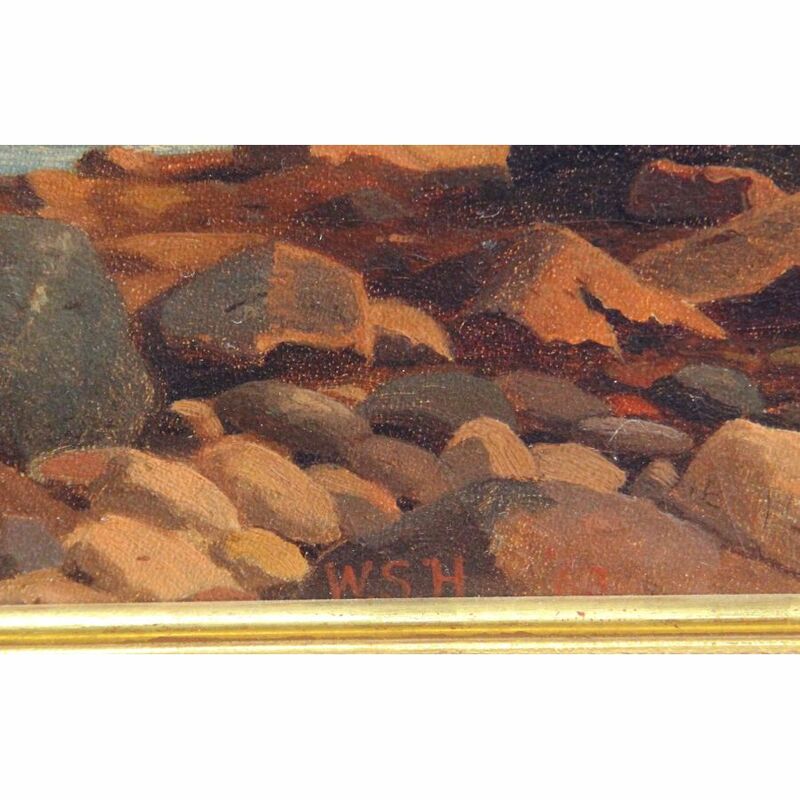 In 1856, he traveled and painted the Rhine River and went into the Italian Alps with Emanuel Leutze, Worthington Whittredge, and Albert Bierstadt. Haseltine fell in love with Italy, which became a life long "love affair." 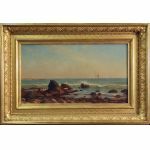 From 1858 to 1866, he lived and worked in New York City where he had studio space in the Tenth Street Studio Building near studios of Leutze, Whittredge, and Bierstadt. 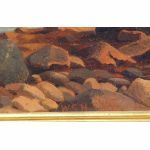 He also did much painting of the American landscape including the coast of Rhode Island and North Shore of Massachusetts. He especially focused on rock formations. After 1866, excepting four years, 1895 to 1899, he lived in Europe, and most of that time he had his studio in an Italian palazzo near Rome. 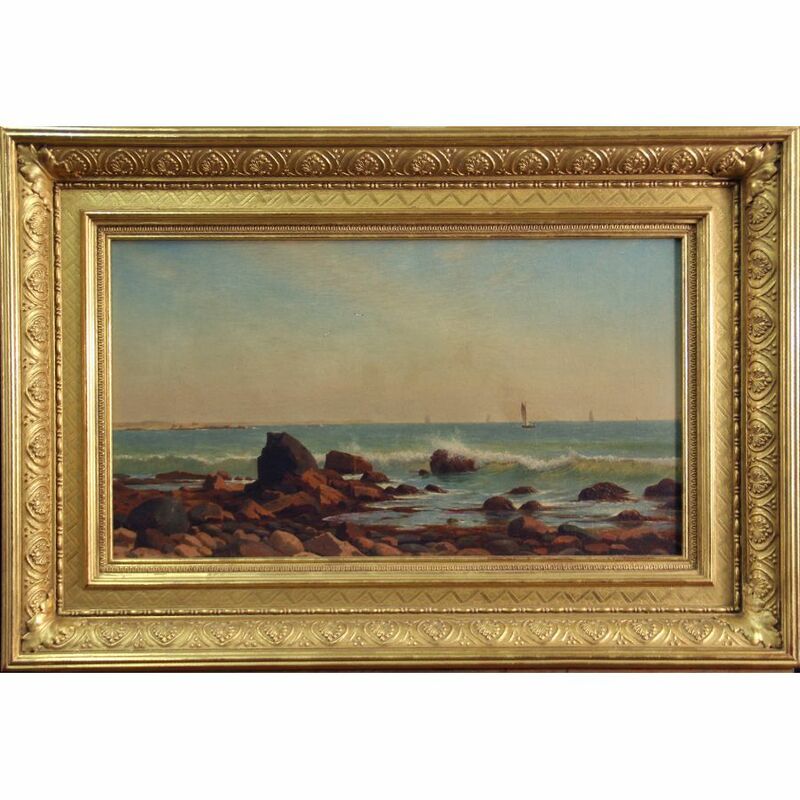 There he specialized in Italian landscapes, many of them purchased by Americans. oil on canvas, 12" x 22"